Anthem, a global creative agency that actively connects brands with consumers by amplifying desirability from brand design to brand campaign to drive brand performance, announces the design of a new range of 100% natural soups for Unilever’s Knorr. The new range includes four variants (Tomato, Pumpkin, Vegetable and Zucchini) and has been launched across France, Spain, Italy, Belgium, Germany, Austria and Switzerland. The ambient soup supermarket aisles across mainland Europe are a sea of sameness. In France specifically, the aisle is a consistent wave of duplicates – both in terms of format (brick tetra packs) and design (brand identity on top, product shot in the same style below). 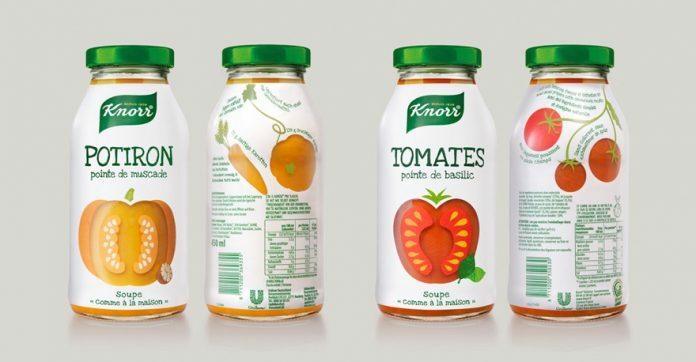 Knorr’s mission was to disrupt this swathe of uniformity with a new range of 100% natural ambient soups using simple ingredients to be packaged in glass bottles. Despite the more premium price point, the new range design needed to be family friendly. 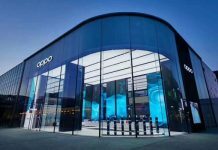 Brand recognition needed to remain strong and range navigation easy. Moving into glass bottles would also allow the brand to contribute to Unilever’s sustainability mission and have new conversations with existing and new consumers around ‘healthy you, healthy planet’. It was important to create a packaging design that mirrored the simplicity of the recipes and one that would support the naturalness of the products. Anthems design is clean and uncluttered to both support the product message and achieve stand out on the shelf. The new range design is bold, iconic and beautiful allowing the brand to surprise and delight consumers with new easy to use and convenient meal solutions.